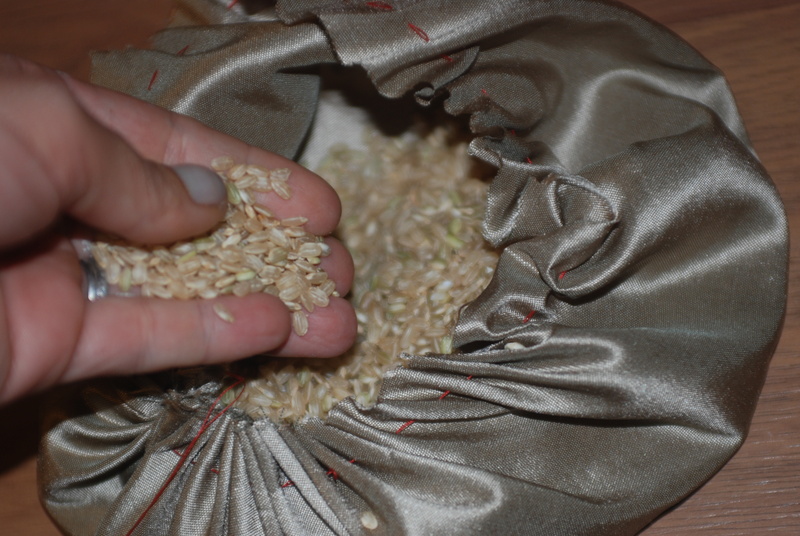 Fabric, rice and everything nice! Last year, Sean and I spent a day roaming around all the fantastic boutiques in Cambria, California. So many beautiful things to “ooo” and “ahhh” over. 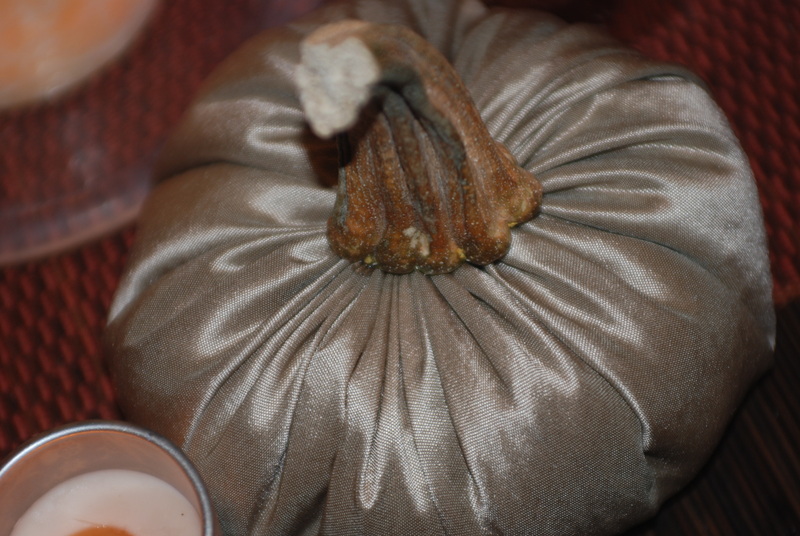 One of the things that stuck with me were these gorgeous velvet pumpkins with real stems attached. So lush AND so doable….thought that I had to have a try at it. 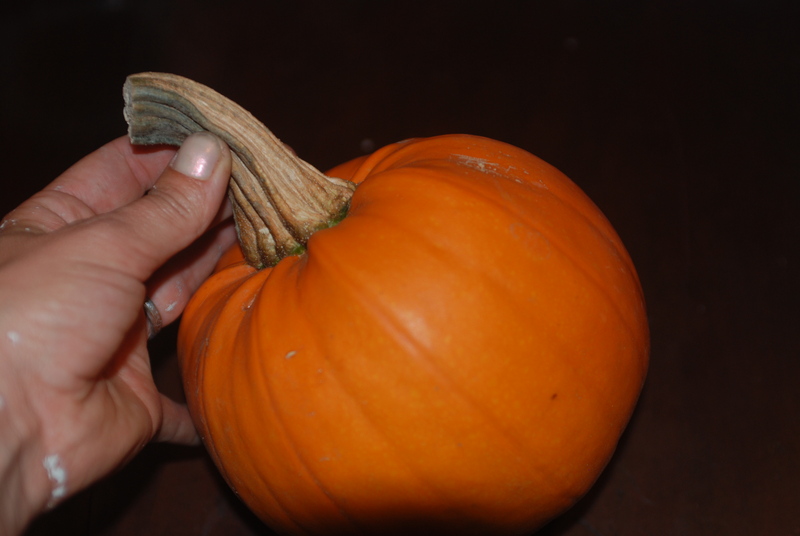 Luckily, my kiddos brought home this sweet pumpkin with an awesome stem from their recent field-trip to the pumpkin fields at Avila Barn. 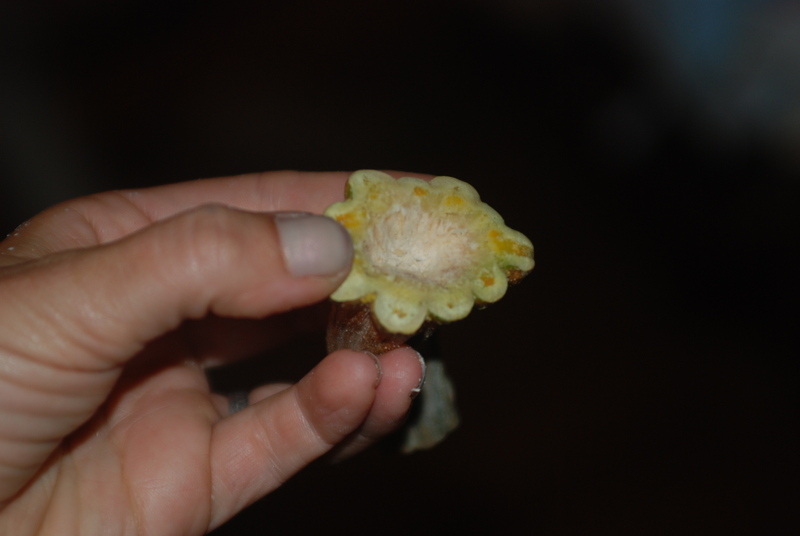 And happily, it was super easy to just pop-off that great stem. 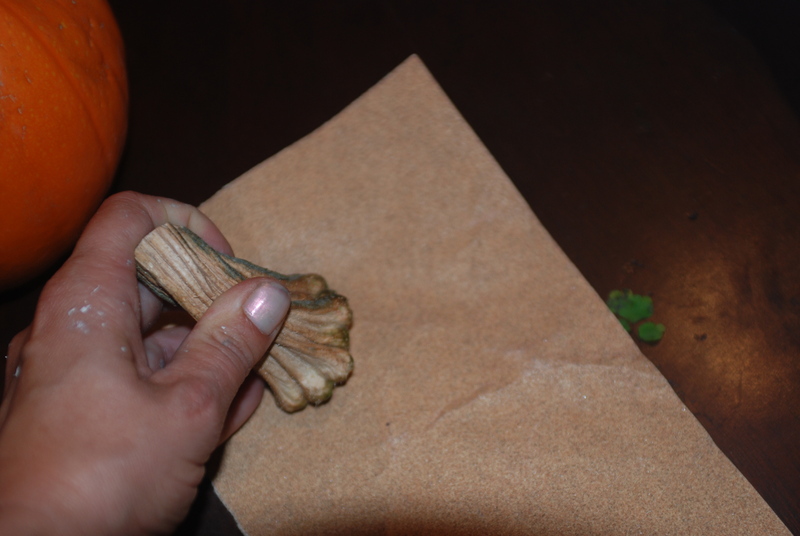 First, I decided to sand the bottom of the stem in order to remove the still moist pieces of pumpkin….don’t want any mold. It smoothed it out beautifully…but later I decided to literally carve-out/scrape-out the center of all that green with a super high-tech tool…the points of my scissors. 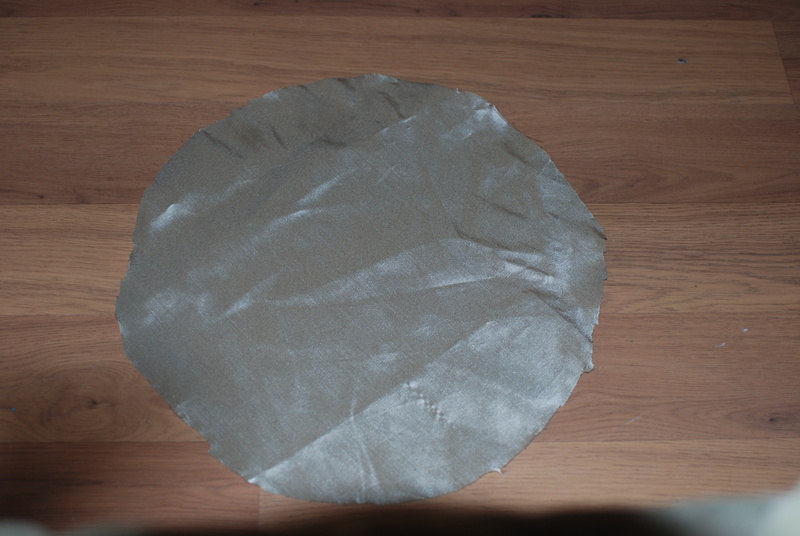 Unfortunately, I couldn’t find the velvet scrap that I knew, without a doubt, existed somewhere in my looming garage…so I cut up this gold pillow case that I had saved for a rainy day. I think the circle had a diameter of 13″….but I would recommend going even bigger, if you can. 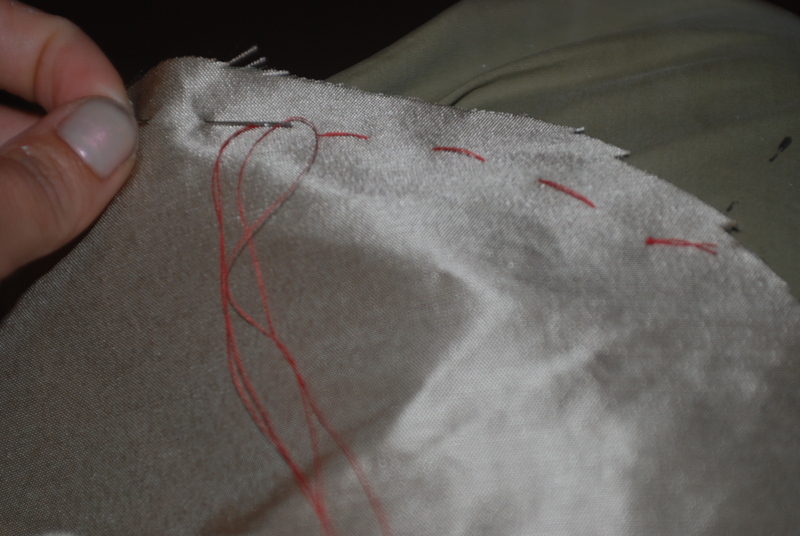 Around the edge, do a simple running stitch….do it spaced out with one inch stitches. See where I’m going with this? 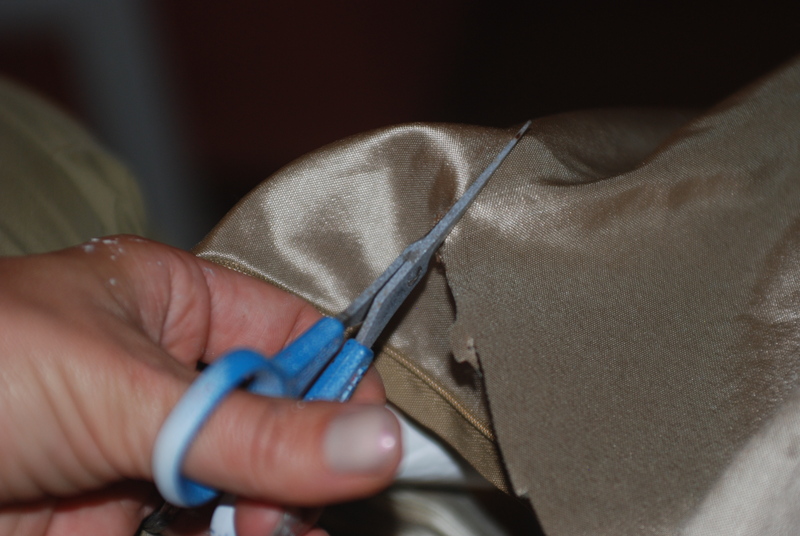 Just gently pull on the thread to gather the fabric to make your pumpkin shape. I chose to fill it with some rice…it gave it the perfect body. 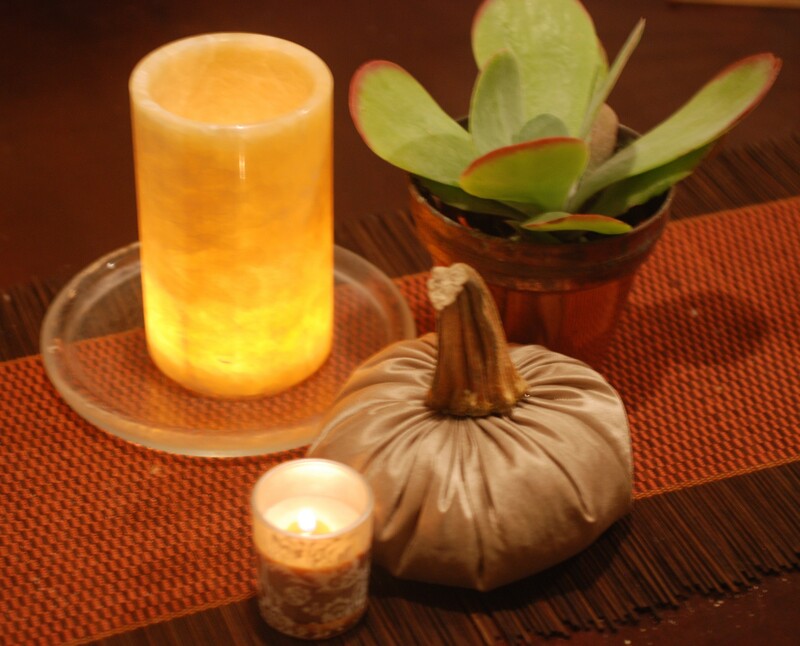 Now, pull and gather to close up your pumpkin top. 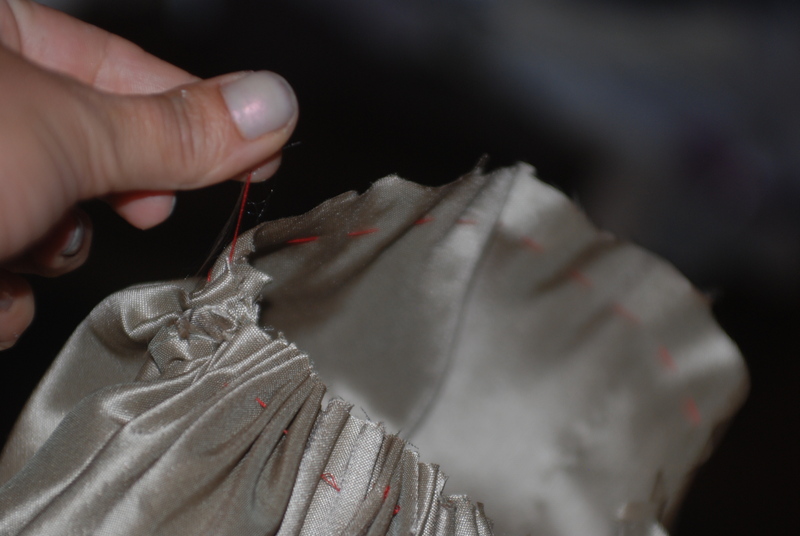 Then just stitch it closed with a simple whip stitch (a fancy schmancy term for just sticking your needle through the fabric, pulling up and over, and then stitching it back through). A little hot-glue-magic later and TA-DAH! 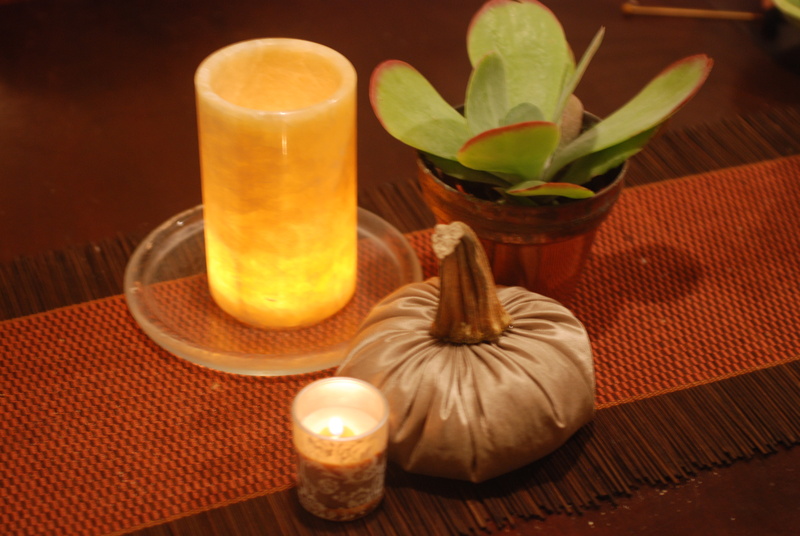 A cute accent pumpkin for my autumn decorating. I am totally making a trio! 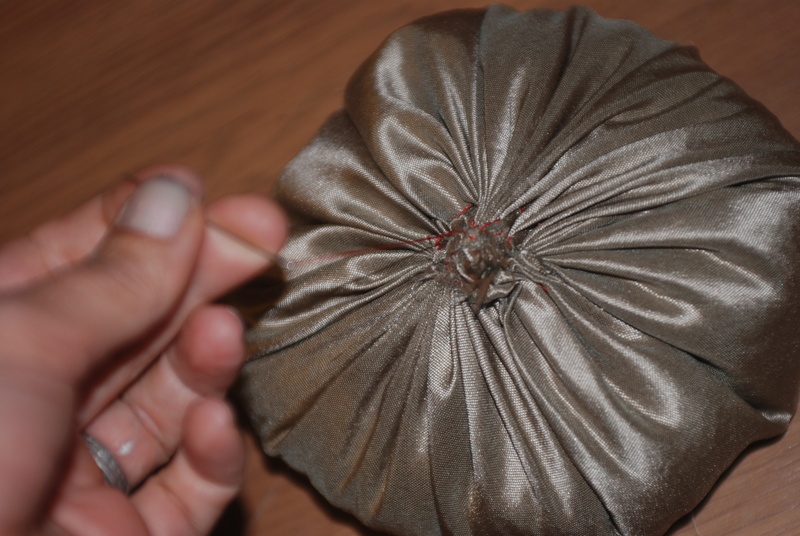 One in gold, one in burlap and one in cream velvet! Gorgeous! !